Have you sold your home with you as Seller financing the buyer? Have you loaned money on real estate and need to foreclose? Is the borrower not making payments? How long should you wait before you foreclose? How do you start the foreclosure process? What can you do to protect the property you sold? Spencer Ball has the experience you need to foreclose on your property, protect your interest, and avoid pitfalls in the foreclosure process. 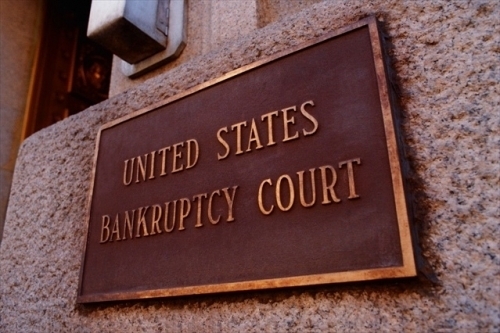 He can represent your interests in the Bankruptcy Court if your borrower files for bankruptcy. He can continue with the eviction until your property is returned to you. Call us today for more free information regarding your foreclosure situation. 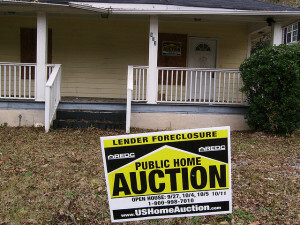 The foreclosure process takes approximately 4 months from commencing the foreclosure by filing a Notice of Default, until the actual Trustee’s Sale. There are a number of things which can delay this process. The borrower may file for bankruptcy, which can delay the process by 3-4 months or more depending on what happens in bankruptcy. If the borrower makes no payments to you in bankruptcy, then you can petition the Bankruptcy Court for a Relief of the Bankruptcy Stay so you can continue the foreclosure. A court can intervene to stay proceedings based on a Borrower’s filing an action to stop the foreclosure. You may want to enter into a forbearance agreement with the Borrower based on a promise to receive current payments together with a payment plan for back payments. 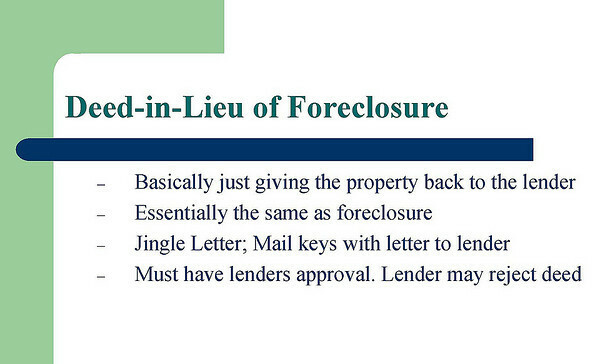 When Spencer has a consultation regarding a foreclosure, he determines whether to send a Demand Letter. After a Demand Letter, or when you are ready to start foreclosure, the process begins by filing with the County Recorder a Notice of Default. This notice is then sent to the borrower and to junior mortgage holders who may be foreclosed out, and anyone else in interest who files a Notice of interest. After a waiting period of 3 months, a date for a Trustee’s Sale is set up, and Notices of this Trustee’s Sale are sent to the borrower, to junior lienholders, posted with the County Recorder and on the property, and advertised in a newspaper circulated in the County. This advertising and noticing process takes approximately one month. The property is then foreclosed. If the borrower does not move out, then after proper notices, an eviction proceeding takes place to remove the borrower from the property. What if the Borrower files for bankruptcy? If the Borrower files for bankruptcy, the bankruptcy court process takes about 3 months before we can take any action, to see of the borrower is going to make his payments. If the borrower does not make payments while in bankruptcy, then we can file a Motion for Relief of the Bankruptcy Stay, which takes about a month to a month and a half. If the court rules in our favor, then we can continue the foreclosure process described above to the Trustee’s Sale. The Debtor can contest the Motion for Relief of Stay, in which event the Court will decide if the Debtor has just cause for delay, depending on the Debtor’s circumstances in court. 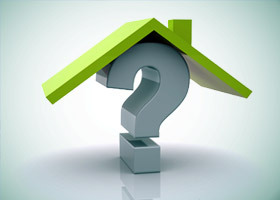 When should I decide whether to begin foreclosure? There comes a point when a real estate mortgage creditor must decide the point in time when trying to work with a borrower becomes unproductive and futile, and foreclosure becomes the best option. Many finance companies and second mortgage lenders commonly begin foreclosure when three payments are delinquent. After three payments are delinquent, debt and interest start to pile up fast enough to begin eroding what equity exists in the property you are taking back, unless a suitable forbearance agreement is reached. Be sure to call our office regarding what type of forbearance agreement is best. Beware of accepting a Deed in Lieu of Foreclosure. Never, Never accept a deed in lieu of foreclosure without calling our office first. The borrower may have a junior mortgage or lien he obtained after yours. Borrowers who are delinquent have a greater likelihood of having judgments filed against them or tax liens. Any junior mortgage the borrower may have obtained, or any such judgment or tax lien will immediately attach to the property if you accept a deed in lieu of foreclosure. You must determine whether title to the property in the borrower’s name is clear of any such mortgages, judgments or other liens. If those liens are at all significant, then you will have to bring the foreclosure to the Trustee’s Sale to foreclose out all junior liens on the property, unless the junior creditors are willing to negotiate an agreement congruent with any deed in lieu of foreclosure. This is an area fraught with danger, where you need legal counsel. 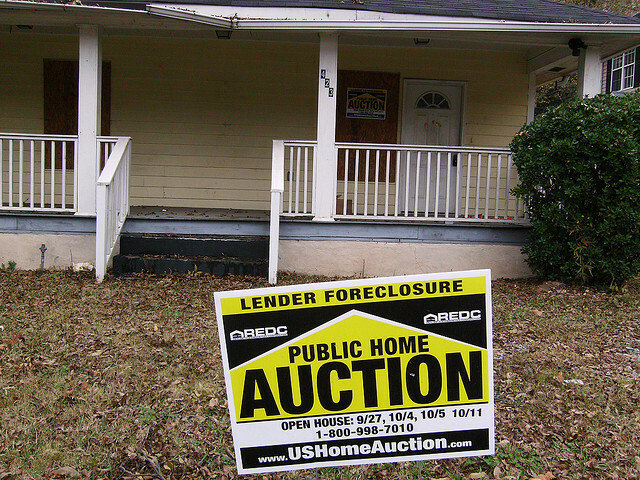 How much should I bid at a foreclosure sale? A mortgagee who is foreclosing on real property can make a credit bid for all amounts owing on his mortgage, including interest, penalties and expenses. While this may be the amount commonly bid at a foreclosure sale, you may have reasons for bidding less than this amount, or even more in some cases. Every case needs to be evaluated on its own circumstances. If your credit bid is the highest bid at the Trustee’s Sale auction, you will then get the property deeded back to you. The amount to bid is something in which you need legal counsel experienced in this area, depending on what your objectives are in bidding. Can I obtain a deficiency judgment against the borrower? There are some circumstances in which the law provides for you to obtain a deficiency judgment against the Debtor. If the amount which the borrower owes you exceeds the fair market value of the home as determined by the court with the testimony of an appraiser, you can get a deficiency judgment for this amount. There are a few circumstances when you may want to bid a determined amount lower than what you are owed, if your objective is to obtain a deficiency judgment, based on what we would plan according to an evaluation to obtain the most favorable expected outcome in a deficiency action. The deficiency action must be commenced within 90 days of the Trustee’s Sale. Would I ever want to go through a judicial lawsuit for foreclosure instead of a Trustee’s Sale? 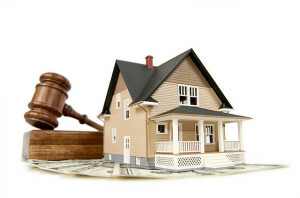 There may be a few circumstances when a judicial sale may be preferable to a Trust Deed foreclosure. One such circumstance is where the amount of the debt does not appreciably exceed the fair market value of the property, but you want to pursue a deficiency judgment for the full deficiency after the foreclosure sale, and the borrower is sufficiently financially viable to collect the full deficiency. This judicial foreclosure takes longer, is more expensive, and has an additional 6 month redemption period where the borrower can remain in possession of the property before being foreclosed. The borrower can “redeem” his property by paying the full amount of the foreclosure judgment, plus 6% added to it.